If you're living in Kansas City, today's your lucky day. Google has announced that they've started installing Google Fiber in Kansas city. With Google Fiber, Internet users can get download and upload speeds of up to 1 gigabit-per second (Gbps) for just $70 per month. That's really cheap and fast compared to all the other Internet Service Providers in America. Google chose to install Google Fiber in the Hanover Heights neighborhood first, and Ars Technica did an interview with someone from that area who quoted speeds of 600-700 Mbps with WiFi speeds of 200 Mbps. Unfortunately the Google Fiber service is only available in certain areas in Kansas for now, and Google hasn't announced if it will be offering this in other states as well. If you live in Kansas you can check if Google Fiber is available in your area by going to http://fiber.google.com/cities/. 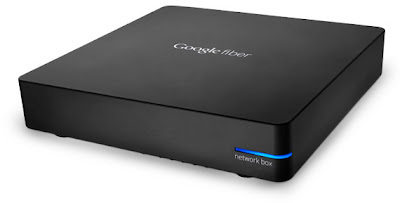 Below is a video describing the installation process of Google's Google Fiber service. If you live in Kansas City, and have or plan on getting Google Fiber, please share your experience with it below.